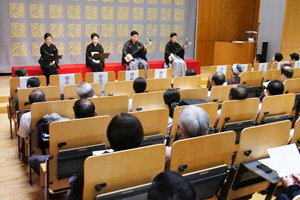 To conserve Japanese paintings, calligraphic works and other pictorial artifacts, we are now increasingly required to have some knowledge of conservation science. 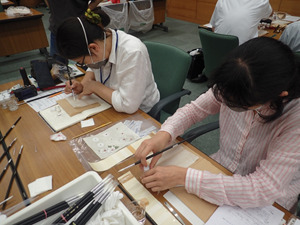 To meet these demands of conservators Tokyo National Research Institute for Cultural Properties and the Association for Conservation of National Treasures (ACNT) jointly conducted a workshop with a training program for conservators from July 31st to August 1st, 2018, which included lectures on basic knowledge and practical work sessions. The workshop aimed to provide hands-on knowledge that can be applied to actual conservation works. To achieve this purpose, we designed a curriculum that would help participants accurately understand the chemical properties of organic solvents and enzymes as well as the proper handling of basic laboratory instruments and chemicals for more effective and safer restorations. 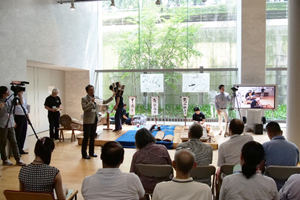 The workshop has been held once a year since 2016. A total of 11 people, one from each corporate member of ACNT, participated in the workshop. Dr. Sano, Director of the Center for Conservation Science; Dr. Sato, Head of the Biological Science Section; and I provided lectures on the safe handling of organic solvents; integrated pest management (IPM) for cultural properties at restoration studios; and removal methods of adhesives and stains, respectively. Based on these lectures particularly using models of the molecular construction of solvents, the participants practiced removing various types of stains on the sheets of paper that we prepared, by using suitable solvents and enzymes. 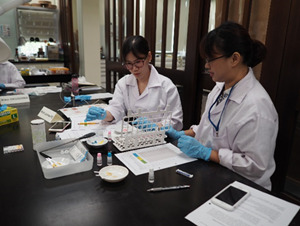 The practical work session also covered other topics such as the use of cyclododecane as a temporary protective coating for water-sensitive colorants. 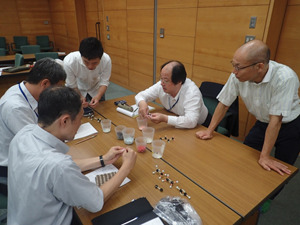 Mr. Kimishima, ACNT’s Senior Conservator, taught in the work session and provided hands-on training to the participants. The program ended with a lively Q&A session and discussion. We will continue to hold such workshop in the future. 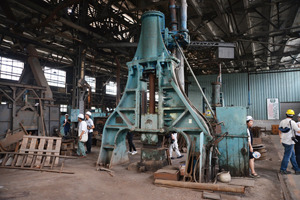 On-site survey: Steam hammer Taipei Factory No. 141 still remains at the smithery in the vehicle factory of Taipei railway workshop (manufactured by Toyo Iron Works and purchased in 1934). 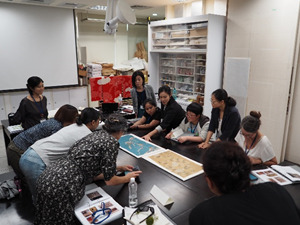 The Modern Cultural Heritage Section has been interacting with Taiwanese officials and researchers working on cultural properties since FY 2017 so as to share mutual experiences and issues on conservation and utilization of modern cultural heritage for their smooth resolution through research. 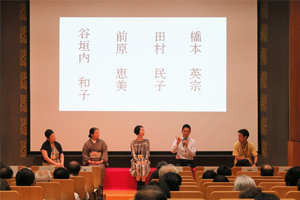 As part of this activity, we participated in the “International Symposium on the Conservation of Modernization Heritage and Its Promotional Planning” held under the auspices of the Bureau of Cultural Heritage, the Ministry of Culture and Chung Yuan Christian University in Taiwan on August 17th, 2018. At the symposium, Japanese experts representing the industrial heritage, railway and machinery areas delivered lectures. Mr. Kitagawa, the Head of the Modern Cultural Heritage Section at Tokyo National Research Institute for Cultural Properties, lectured on the administration of cultural properties related to modernization heritage. 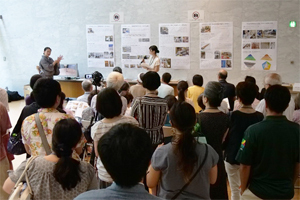 The symposium attracted a large Taiwanese audience, including administrative officials, owners of cultural properties, university researchers, and citizen groups, resulting in engaging discussions ranging from the principles of conservation and utilization of modernization heritage to their approaches. 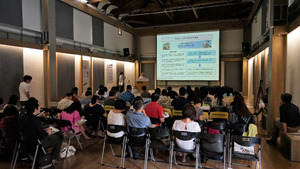 In conjunction with the symposium, we discussed with Taiwanese researchers how hydraulic structures, factories, and railway facilities constructed during the period of Japanese rule have been conserved and utilized, along with various approaches and issues. Among them was a very interesting case in which a motorcycle manufacturer who had developed an electric-assist railbike made use of the dead track of a now-defunct railway. The railway is now protected as a cultural property for the operation of the facility. We also visited Director-general Gwo-Long Shy and other officials at the Bureau of Cultural Heritage, the Ministry of Culture in Taichung. There, we exchanged ideas on Japanese and Taiwanese histories, and on concepts concerning systems for the protection of cultural properties associated with modernization heritage, as well as their conservation and utilization.